The Percy Jackson & the Olympians series is a popular theme for birthdays, author celebrations and book parties. Written by author Rick Riordan, the stories center around a boy who discovers he is actually the son of one of the 12 Greek gods of Olympus. Here are ideas you can use at home or in the classroom for Percy Jackson crafts. Party ideas for your theme can be centered around either the book series or the movie with any of the activities provided. The Lightning Thief is the first book of the series. In it, Percy must find Zeus’s lightening bolt to prevent a war between the gods. Let children paint or create their own hanging lightning bolts out of simple household materials and paper mache as a memento. If you have time, you can have the children actually create their own papier mache lightning bolt. Using the tin foil, the children will shape the foil into a lightning bolt. This will become the form for their papier mache creation. The next step, will be to tear the newspaper into strips, and then dip the torn pieces into the prepared papier mache paste so that the strip is completely saturated. The strips will then be draped over the lightning bolt form, and smoothed until all of the foil has been completely covered. From here, the bolt will need 24 hours to dry. Once dry, the steps will be repeated until there are approximately three layers in total. For this reason, creating the papier mache lightning bolt will take at least three days. If time is limited, you may wish to make the lightning bolts ahead of time and simply have the children complete the painting portion as a part of the book celebration or birthday party. 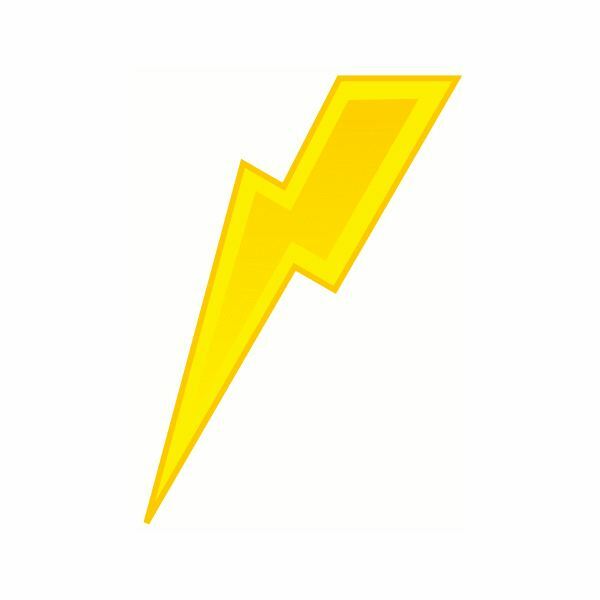 Allow the children to paint the lightning bolt completely. Bolts can then be left to dry while they participate in other book or movie related activities. If desired, clear fishing wire can be strung around the bolt for hanging. Or, the bolt can be mounted on a wooden dowel which has been firmly inserted into a small, square wooden base. The base itself can be painted or left natural. The main characters of the stories discover that they are actually demigods – direct descendants of the 12 Greek gods of Olympus. Children will have fun discovering which Greek god they resemble by consulting an Oracle. Encourage the children to use what they have learned about the Greek god they are associated with to create symbols or decorations for the t-shirt. It is helpful to have the Greek alphabet available. The alphabet may be used to add names, words or lettering to the t-shirt design. For instance, children creating a t-shirt as a descendant of Poseidon would want to include his staff or trident in the design. Pre-made stencils will help. On the back of the t-shirt, the child’s name can be written using only Greek lettering. T-shirts may be worn at the end of the party. The Greek god Apollo is often represented wearing a laurel wreath around his head, and the wreath itself is associated with champions. Here are directions for making a simple laurel wreath of your own for your Percy Jackson party. Shape the tin foil into a crown that will encircle a child's head. If necessary, you may twist two or more lengths of foil together to arrive at the correct length. Secure the ends of the foil together with a simple twist. Using the glue, attach the foam leaves to the outside of the foil crown, overlapping each so that none of the silver foil shows through. Look no further than Bright Hub for more Percy Jackson crafts and party ideas, including invitations, activities and favors.